Know about me Christina E. Unkel, Esq. Christina Unkel is an attorney focusing her practice primarily in business law and complex litigation. Mrs. Unkel brings specific skills and experience to her practice areas through her background and training. Mrs. Unkel interned in the U.S. Middle District of Florida for the Honorable Elizabeth A. Kovachevich, U.S. District Judge, and for the Honorable Thomas B. McCoun, III, U.S. Magistrate Judge, where she gained invaluable federal court experience early in her career. Prior to joining Maglio Christopher & Toale, PA, Mrs. Unkel held positions with a civil litigation law firm and a boutique construction and commercial litigation law firm. Her experience includes handling complex commercial civil litigation matters, multi-million dollar settlements, administrative hearings with state entities and addressing telecommunication issues. Mrs. Unkel graduated from Stetson College of Law with a Concentration in Advocacy and as a recipient of the William F. Blew Pro Bono Service Award. Mrs. Unkel zealously advocates for her clients having been extensively trained in litigation and alternative dispute resolution as a member of both the Moot Court Board and the Alternative Dispute Resolution Board while at nationally-ranked Stetson College of Law for trial advocacy and legal writing. While in law school, she was an oralist and a recipient of the Best Respondent Brief and an Honorable Mention Claimant Brief at the prestigious Willem C. VIS International Commercial Arbitration Competition held in Hong Kong. Mrs. Unkel is well equipped to deal with the reality of today’s business industry and the sports world through her past experience at IMG Academies, as an NCAA scholarship athlete and her current international experience as an active FIFA Referee. At IMG Academies, Mrs. Unkel directly worked with athletes, coaches, agents, administrative staff and businesses from across the world and amongst a cross-sector of sports industries to plan, execute and oversee projects for both short and long-term sports clients. Mrs. Unkel’s personal collegiate and professional athlete experience helps her bring a unique and dynamic perspective to her business and sports clients’ needs. Mrs. Unkel serves the Sarasota community through several active leadership roles. She is a member of the Judge John M. Scheb Inn of Court and the Sarasota County Bar Association ("SCBA"). 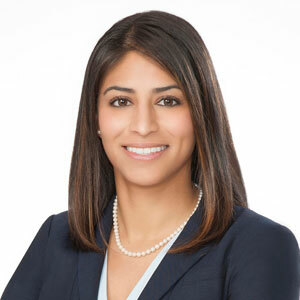 Among the SCBA, she serves as the Chair of the SCBA Awards Committee, Chair of the SCBA Diversity Committee and sits as a Board Director for the SCBA Young Lawyers Division. Additionally, Mrs. Unkel has recently served as the President of the Sarasota Area Sports Alliance, as an Adult Partner with Sarasota's Community Youth Development, and as an advisory board member of the Visit Sarasota, Sarasota County Sports Commission. Mrs. Unkel was born in San Diego, California and raised in Cape Coral, Florida. She now resides with her husband in Sarasota, Florida. Mrs. Unkel is fluent in Spanish.